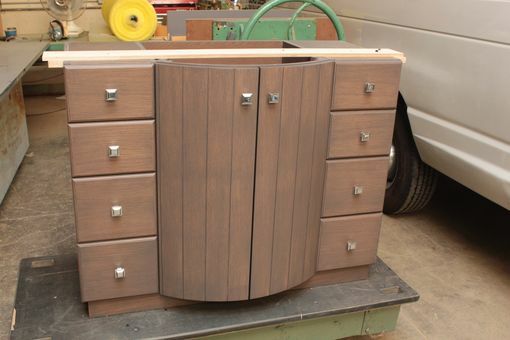 We were contacted by a designer out of the Chicago area who viewed our profile on Custom Made. 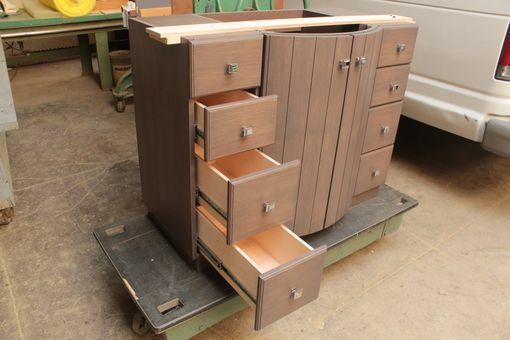 The designer had a client very close to our shop in New Jersey and wondered if we would be able to help her make two custom vanities. The first vanity was a paint grade piece for a child's bathroom. The second was for the clients new master bath. 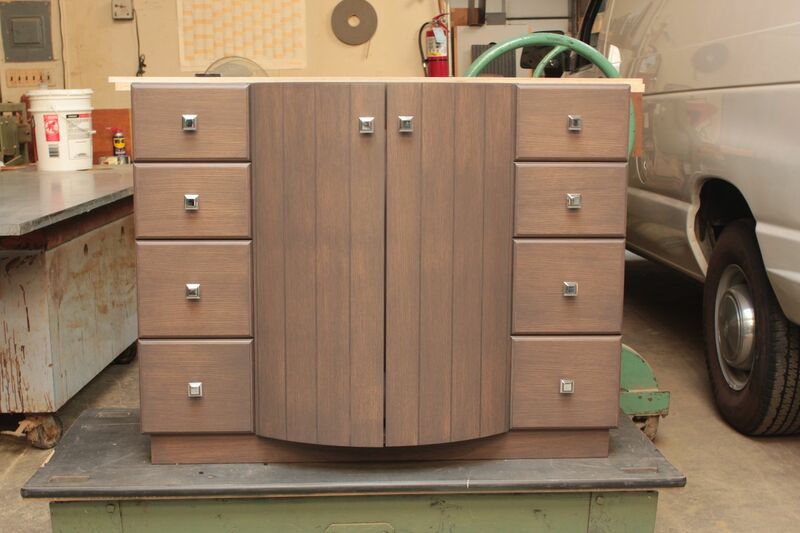 The vanity has a custom bow front with flanking storage drawers. The materials used were a rift cut white oak with a custom gray/pickling stain to enhance other tile work in the room. The granite top for the unit was supplied and installed by others.